FDA Class I and Class II products are designed to reduce instrument downtime and provide an all-in-one sample preparation system. The accuracy of test results is dependent upon the integrity of the sample. Sample preparation errors are minimized with POREX® multi-functional sampling devices that limit analyte loss, reduce methodology interference and allow for extended storage during sample preparation steps. Our portfolio of single-use preparation devices can help simplify almost any sample preparation process. The POREX® FILTER SAMPLER® Blood Serum Filters effectively separate fibrin and gel particulates that can potentially interfere with diagnostic equipment systems and allow for extended in-tube storage. Our POREX® SQ-EASY® PreFilter provides an all-in-one system for filtering viscous samples prior to diagnostic testing. 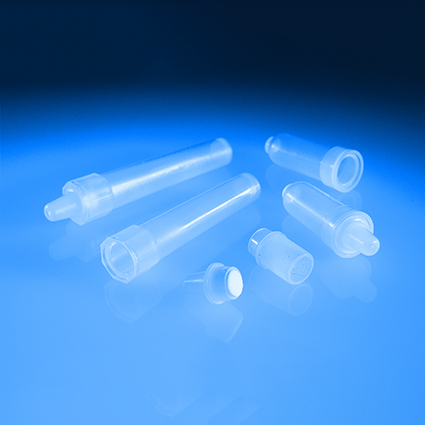 POREX® FILTER SAMPLER® Blood Serum Filters are the industry leading sample filtering system used for the separation of serum or plasma from centrifuged blood specimens contained in the standard 16, 13 or 10.25mm evacuated blood collection tubes. Protect sample integrity and instrument performance – FILTER SAMPLER technology eliminates gel particulate and fibrin in the sample, which can interfere with assay and methodology results. Improve efficiency – Reduce instrument downtime and allow direct sample access rather than secondary container pour-off. Extend storage life – Certified Pure Porex FILTER SAMPLER is independently tested to allow for up to even-day serum storage in the primary blood collection tube. SQ-EASY® PreFilters are a self-contained, positive closure sample preparation system that collects, filters, transfers and stores buffers, serum, plasma, urine, stool, blood, saliva and other liquid or viscous bodily fluids and tissues. Reducing cost and minimizing errors – The SQ-EASY® prefilter Incorporates multiple steps of sample preparation into one convenient system. Separately sold components allow for flexibility in tube size and filtration efficiency. 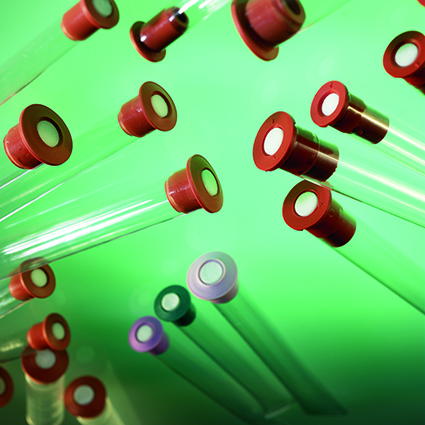 Ensuring purity of PCR-ready materials – The delivery of pure, clean material allows for use in clinical or molecular diagnostic testing, PCR methodologies and other DNA/RNA extraction procedures. Customizing specific functionality needs – Functional materials can be added to help isolate analytes, allowing for customization.